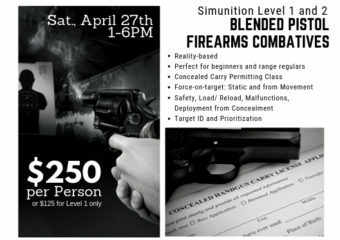 Years ago, when my oldest was barely 6 years old, I decided that he needed an extra-curricular activity, and, having seen what martial arts had done for my Godchild, I figured this would be the perfect option. At the time, I was living near city center in Miami, in a beautiful, affluent neighborhood with very little in the way of nearby commerce. But, I was able to find a Karate Dojo (school) that had just opened 3 blocks away. Not knowing ANYTHING about the difference between one dojo and the next, I went in, watched a class and spoke to the owner/ Head Instructor. He was a charming, funny man of about 60, in excellent shape and a surplus of martial arts talent — that much was clear to see. The class was very disciplined, the students were sharp and clearly looked up to their sensei (instructor). Well, I signed my son up on the spot and, within three months, I was on the mat,too. In retrospect, I was extremely lucky. I went in to the initial search with the naive belief that all dojos are created equal and that all martial arts instructors would always have their student’s best interests at heart. I had not heard of terms like McDojo or TakeMyDo. After a few months, work got in the way of continuing class and my son was temporarily distracted by other interests, so we both quit that particular school, although I try to visit, any chance I have, and keep in touch. That is the impression this instructor made on me. To this day, over 15 years later, we are still Facebook friends, email on occasion, and I visit any time I find myself in Miami. Neither of us picked up martial arts again for quite some time; not until my oldest son was about 13 years old, as a matter of fact. At that point, I was permanently hooked and have been practicing ever since. We were, once again, lucky to find an instructor that exemplified the teachings of the art with his daily actions, was a kind and positive influence, and created a real sense of family in the school; but, I had no idea how difficult that was to find. Since making martial arts a permanent part of my own life, I have come to know many school owners and instructors, and have come to a devastating conclusion: Many of them see their students as dollar signs, not as people or kids that they can positively influence and teach. And, unfortunately, some of those who start out with the best intentions, end up compromising their principles as they find themselves on the roller coaster that is self employment when they open up their brick and mortar schools and realize they have bills to pay. To add to the confusion, the sheer numbers of martial arts schools, and different martial arts styles, all claiming to hold the only “true secret back-fist” is astronomical. Do an internet search for martial arts in your area and you will be overwhelmed with the number of results. So, how do you select an art and a school that is right for your child, your family, or you? Back when I was first looking for a dojo, I had no idea what I was getting into, and I was very lucky to find the instructor and school that I did, when I did. But, if I had it to do all over again, these are the things that I would look for in a dojo and, more importantly, in an instructor/ instructor team. Convenience is important, but it must be secondary. I am not suggesting that you drive 20 miles each way for a one hour class twice per week, but, if this is the limiting factor in you achieving your goals, then drive. As you start your search, certainly look into the school in your general area, but do not limit yourself to these schools alone. Sometimes the right fit is a little bit outside of your comfort zone, but, if it truly is the right fit, it is worth the effort. The martial arts style is not as important as the instructor. 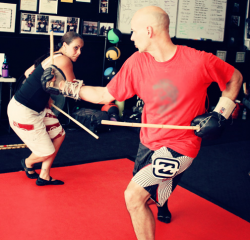 Not all martial artists are created equal, and the same goes for teachers. Some people lack the ability to effectively and positively communicate information, regardless of the quality of the information, falling back on shaming, degrading, and sometimes debasing techniques. At best, these instructors may mean well, but end up doing more damage than good to their students. At worst, they can victimize a student emotionally and mentally. Additionally, a small percentage of instructors have victimized students physically, so, if you do not have first hand testimonials from current and past students available, at least do a background check. These should be easy and free to do through your local government sites. On the upside, more and more dojos are instating mandatory background checks as a part of their hiring practices. All in all, find an instructor that is willing to listen honestly to your needs and goals, is available to help you assess and reassess them as you progress, and is open to your suggestions as well as your complaints. They should also be on a path to personal growth. Speaking about personal goals: Clearly define the goals you want to attain by joining a martial arts class. People join martial arts schools for many different reasons: to get fit, for self improvement, to learn/ improve discipline, to learn self defense, to address insecurities, as stress relief, and even to help cope with difficult times. For this reason, you need to define your reasons and your goals in joining a martial arts class. For example, If you are looking for a highly aerobic class, you are probably not going to try Tai Chi (as taught by Westerners, anyways). If you are looking for a class that teaches traditional martial arts and values, you will likely not end up at an MMA gym. The trouble with having loosely defined goals is that, if you cannot put into words what you are looking for, it will be far more difficult to actually identify it — which will lead to dissatisfaction and probably to giving up on the arts. There is nothing wrong with being open to all of the arts until you find the one that speaks to you, but know what you want out of the experience so that you can actually find it. Ask to try out a class. Most dojos will have some trial period, whether a couple of classes or a week for free. Take Full Advantage of This! Why? Observing a class is great, but experiencing the class is better. 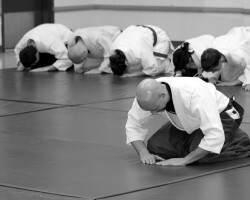 If you are on the mat you can see, first hand, how the instructors relate to the students, the students to the instructors, and the students to each other. How do the students treat each other? How do the senior students treat the juniors and vice versa? How do you feel while on the mat? Do you feel welcome? Do you feel encouraged? These experiences are important and should be a key factor in your selection. Look around. Are the instructor’s certifications on the wall for display and verification? Your instructor should have their certifications available for review. If they are not up on the wall, they should be easily verified. Think of walking into a doctor’s office. Their diplomas and certifications are all over the walls. These are not decoration. They are intended to let you see the doctor’s educational and experiential pedigree. Well, the same goes for a martial arts instructor. Think about it: You are trusting this person to put you in a position where you might get hit. So, if you have trouble getting the instructor to discuss, show you, or verify his certifications, thank them for their time and move on. Ask about their pricing. Some schools are members of federations or associations that dictate the way they answer the pricing question. My suggestions is cut through the bull. Get the instructor to answer your questions directly. Sales pitches are very nice, but they are designed to sell you something you may or may not want. The answer to this question should be simple and straight forward. Additionally, some schools require a membership contract and others do not. If you have a preference on this matter, it should clearly be a consideration, but remember, finding the right school and the right instructor are far more important than a contract. Make sure that the school fits into your budget and get ready to get on the mat. What other fees are involved in training? Like any activity, you will need equipment at some point. There may also be testing fees, and annual registration fees. Find out what these are ahead of time so that you are not surprised after the fact. Testing. How often is it happening? Ask how often the instructor holds testings. Are they holding a test every month? Then run for the hills — you have walked into a McDojo, where they come up with a million reasons to test for rank, whether you are ready, eligible, or not. A good rule of thumb is a maximum of one test every couple of months where not everyone is eligible to test. While the most junior ranks are likely to test more regularly, intermediate and senior ranks should not test every two months; there should be increasing time for the student to develop and prepare in between ranks — especially the closer they get to black belt, or black belt equivalent. Set time aside for training. A lot of people will join a martial arts class and, much like joining a gym, will not prioritize the time they need for training. This results in other things getting in the way of getting to class, and, little by little, you accidentally quit. How do you quit by accident? Simple, things get in the way, you go to class less, eventually you realize you haven’t been to class in two weeks or more, and then you are embarrassed or unwilling to get up and get back to class. The longer that time period lasts, the harder it is to return to class, and, the next thing you know, you have accidentally quit. Make your training time a priority. We all have emergencies and situations that need our extra attention, but, if you give your training the importance that it needs, you will not allow regular everyday matters to bump your training right out of your schedule. If you do not have the ability to schedule a specific time, set yourself weekly time goals, such as, “I will train martial arts for 3 hours this week.” Then, fit them in as you are able; just don’t quit. Finally, What does the dojo look like? Is it clean and organized? Does it look like a day care? Is this a place that you can get invested in? A dojo is a second home for many people, and the space will reflect the attitude that the instructors and students have toward the school, toward the instructor, and toward themselves. Finding the right dojo and instructor is the beginning of a new, tight-knit family, and that is the way it should feel as you check your area schools out. You should feel safe, welcome, and challenged! Lissette Fitzgerald is a Yondan in Traditional Tae Kwon Do, a member of the Jeet Kune Do Athletics Association, a PFS Edged Weapons Law Enforcement Instructor, and FAST Combatives/ FAST Defense Instructor. She has been studying under her husband, Cat Fitzgerald Sensei, a blend of Aikido, TKD, Muay Thai, JKD, Kali, and other arts for several years. She is Co-Creator and Chief Training Officer of the ASSERT Empowerment and Self-Defense program, which is currently an integral part of the curriculum at several schools, universities, social groups, eating disorder clinics, Foster Teen transitional programs, and at-risk youth outreach programs. She is responsible for research, case study, and curriculum building for both Neko Okami Integrated Martial Arts and ASSERT Empowerment and Self Defense and is co-founder of KSA Martial Academy in Nashville, TN. Liz is an award-winning Marketing Editor and Writer. For more information, Liz may be contacted by email at info@YouCanBeASSERTive.com , or you can visit the ASSERT Student (www.YouCanBeASSERTive.com), ASSERT Instructor (www.ASSERTInstructors.com,) or ASSERT Professionals (www.ASSERTProfessionals.com).